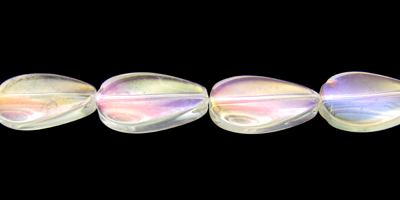 On this page you will find our selection of plain glass oval beads. They have rounded corners, so feel beautifully smooth against the skin. We have a great range of vibrant colours to suit any project. Full strand of pretty glass shaped beads. Cute little beads. Full strand of glass beads in a rice (oval) shape. Beautiful grey wood grain varnish. Beautiful pressed glass rice shaped (with ridges) beads. These are approx. 18mm long and come in a bag of mixed colours. Approx. 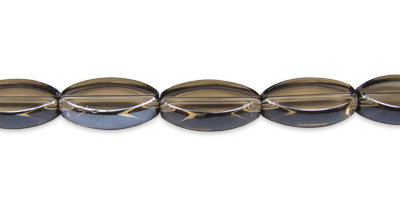 32cm strand of oval shaped glass beads with a subtle pearlised finish. Approx. 17 beads per strand. Full strand of pretty glass shaped beads. Silver plated.